Did you know that you can earn cash back buying gift cards & more at Starbucks.com and buying music at iTunes? It’s easy if you are a member of Ebates! It’s the best cash-back rebate program for online shopping from 1,000+ stores. I’m thanking my readers who are Ebates members by giving one lucky reader $50 to Starbucks and $75 to iTunes. These are physical gift cards (five $10 Starbucks and five $15 iTunes) that can be used in-store (Starbucks) or online (Starbucks and iTunes). If you shop through Ebates at Starbucks you earn 2.5% cash back on gift card purchases and 7.5% cash back on everything else. It’s amazing that you earn cash back when you buy Starbucks gift cards! If you shop through Ebates at iTunes you earn 3% cash back. Please complete the entry form below to enter this giveaway. You need to be a member of Ebates in order to enter this giveaway. I will verify that the winner is an Ebates member before making the winner’s announcement, so please use the email address that you use for your Ebates account. The winner will receive their from Freebies 4 Mom by mail. This giveaway closes at 11:59 pm Sunday, March 14. If you have any problems filling out this form, please email me with the subject “Starbucks/iTunes Giveaway”, your first and last name, and tell me the email address you use for Ebates. Sorry, this giveaway is closed. Thanks for entering and come back after Sunday, March 14 to find out who won. Freebies 4 Mom Giveaway Disclosure: I sponsored this giveaway myself and obtained the $125 worth of gift cards by redeeming my Swagbucks. This giveaway is not sponsored by Ebates. For more information about how reviews and giveaways are conducted on Freebies 4 Mom, please read my Disclosure Policy. I must not be leaving the comments right, I never seem to see my posts. Thanks for doing this I love your site and check it out everyday about million times!! yay hope i win who doesn't love coffee and music?! Thanks for these give-a-aways! I'm always empowered by coffee !! I love Starbucks. Thanks for all you do! Me too, Rona. Sorry, now I know! Thank you for the giveaways. Love your site..
im so excited.. being a single mom of 3 COFFEE is the only way I survive!! !Thanks for the chance!! You're just trying to win the trip to Hawaii, right? Thanks for getting me hooked on Ebates!!!! I love Ebates :o)! 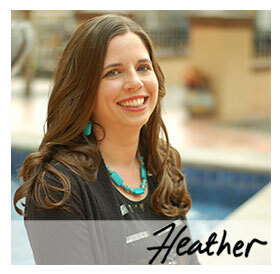 And thank you for another great giveaway Heather! Your website is awesome!!! oops…I might of gone keyboard crazy and entering more than once in your prior giveaways. Sorry! Now I know. lol. Thanks again for sharing these goodies. Thank you for the chance…nothing is better than coffee and music!! You are awesome, even though I haven't won a giveaway. These giveaways are easy to sign up for and fun. Thanks. Thanks for sponsoring so many great giveaways. I know you probably get a lot of perks from referrals from Swagbucks and Ebates, and I really appreciate you sharing all of that with your readers. THANK YOU! Can we enter more than once? Does it help our chances?